Choosing an Air Conditioning Product - Spalding Air Conditioning Services Ltd Tel 01775 714097 for air con quote today. 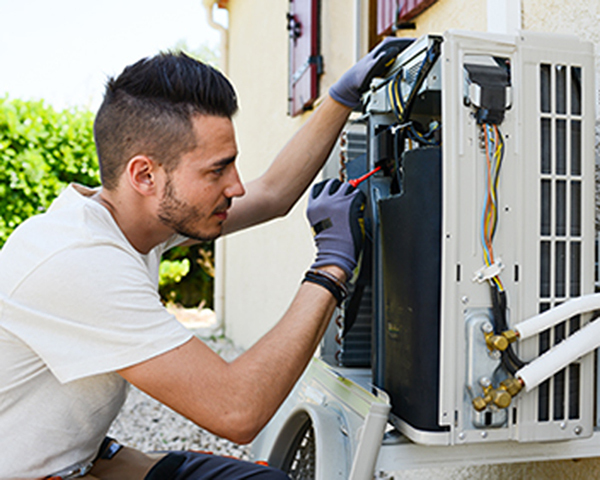 Here at Spalding Air Conditioning Services Ltd our commitment is to provide you with a full one stop solution for your air conditioning needs, offering you a wide range of air conditioning units to ensure you have the best and most suitable products for your new air conditioning installation. We’ve put together herewith a brief summary – if you would like to discuss in more detail call 01775 714097 to talk to a qualified engineer. Wall mounted air conditioning units are the most popular type of air conditioning units. They are versatile and easy to install and the air con units can be mounted almost anywhere and sit high up in the room and blend into the background in most environments. These wall mounted air conditioning units have a filter which collects dust from the air which provides healthy clean air for the occupants. Modern wall air conditioning units have Innovative compressor design and combined with low noise air movement fan arrangement results in a quiet, high performance cooling and heating system. Together with advanced electronic controls for maximum comfort, controllable and energy efficiency. Ceiling cassette air conditioners are the ultimate in convenience for any space, neatly fitting into a ceiling recess, they blend in very well with the existing surroundings. When placed in the centre of a room these units blow cool or warm air in four different directions. A single centrally-mounted ceiling cassette can provide balanced cooling to an entire room or multiple units can be used for larger areas. The floor mounted air conditioning units are usually fitted in similar areas to where radiators would be and offer you full control of the temperature in your business or home premises. This means that the conditioning system will easily blend into your room and will offer convenient temperature control at the touch of a button. One of the main reasons people decide to have a floor air conditioning unit is due to the ease of installation and the implied cost savings. A relatively simple system to install, the internal air con installation work simply involves drilling a small hole for the pipe-work to leave the room. These units are also relatively easy to move, either to a new building or room. Ducted air conditioning systems are the first choice for air conditioning when aesthetics are the main priority. Ducted air conditioning units are designed to be completely concealed. The ducted air conditioning system is a versatile residential / commercial air conditioning system. The ducted air conditioning system can be concealed in a false / suspended ceiling or on the ground. One of the main reasons people decide to have a floor air conditioning unit is due to the ease of installation and the implied cost savings. A relatively simple system to install, the internal air con installation work simply involves drilling a small hole for the pipe-work to leave the room, these units are also relatively easy to move, either to a new building or room. Variable Refrigerant Flow (VRF) or Variable Refrigerant Volume (VRV) air conditioning systems are an extremely energy efficient means of precisely regulating the temperature within commercial buildings. More often than not the rooms or zones within the building will need to operate at differing temperatures. The cooling and heating requirements of these spaces inevitably change throughout the day. Typically as a result of varying occupancy, heat emitting office equipment and lighting, changes in outdoor temperature and notably, the position of the sun. The combined effect of these internal and external influences often means that some areas of the building require cooling, while simultaneously, other areas require heating to maintain a constant and comfortable internal environment. We deal with both business & domestic premises and will happily give you a competitive free, no obligation quotation. 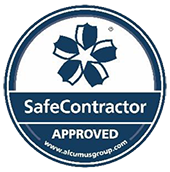 Why choose Spalding Air Conditioning Services? We cover Lincolnshire, Cambridgeshire, Rutland, Nottinghamshire or other surrounding areas, but happy to quote for anywhere in Mainland UK. Call us 01775 714097 to discuss. QUESTION: Comment below and tell us what frustrates you about your air conditioning?